The iPhone 6S features an upgraded 12-megapixel camera that, as well as taking higher quality and sharper pictures, can also record video in full 4K resolution (3840×2160). 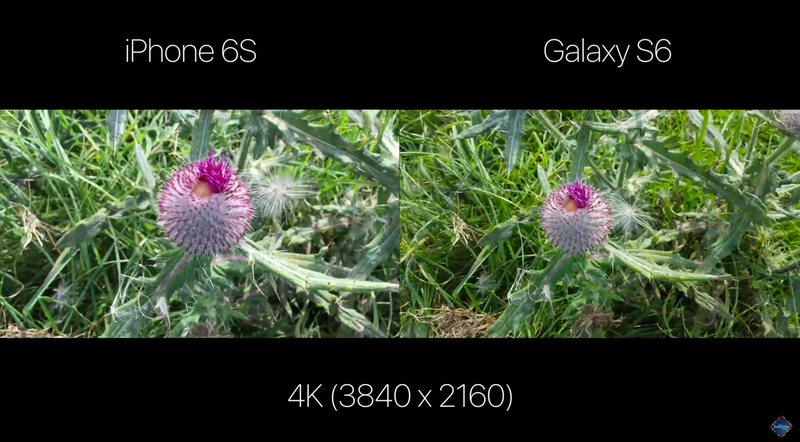 As the first iPhone to shoot 4K, I put it to the test against 4K video shot on the Galaxy S6. Let me know which you think is best in the comments below! For more on the iPhone 6S, check out my speed tests, camera comparisons and upcoming review on my channel. Don’t forget to subscribe!